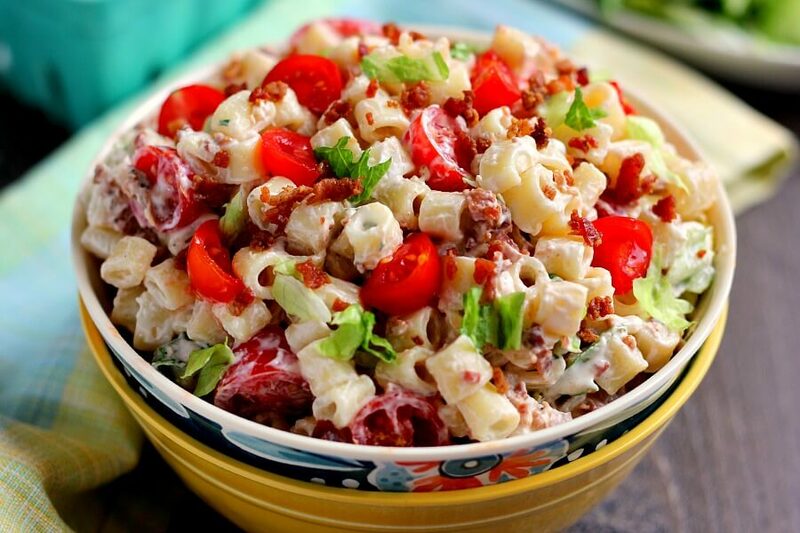 In a large bowl, combine the romaine lettuce, tomato, bacon, onions and pasta. 1 tablespoon raw apple cider vinegar. 1 tablespoon unsweetened coconut milk OR Soy sour cream. 1 small garlic clove finely minced or pressed, OR ¾ teaspoon granulated garlic powder. 2 teaspoons fresh chopped dill. 2 teaspoons fresh chopped chives.